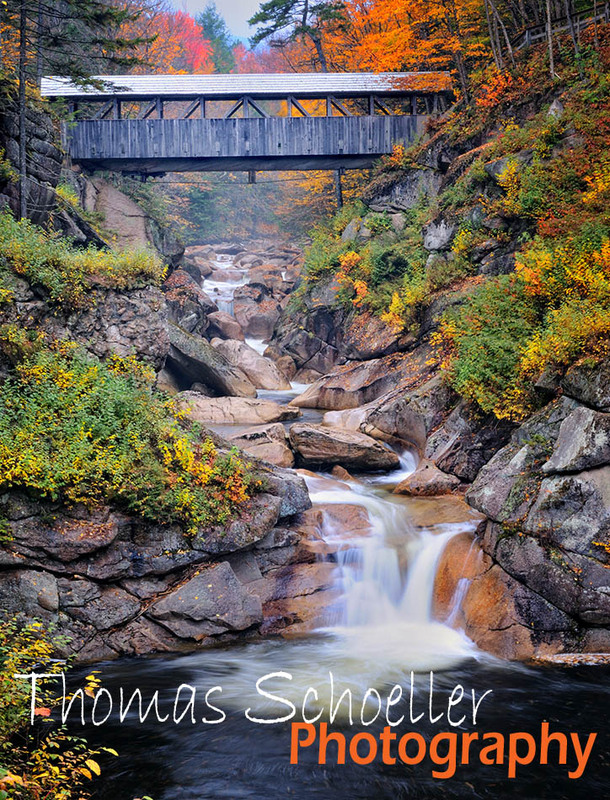 White Mountain Puzzle company has released an original artwork by Fine Art photographer Thomas Schoeller as a 30 x 24" 1000 piece puzzle. The artwork titled "Sentinel Pine Covered Bridge" is available to order individually for $15.95 ea or can be bulk ordered for retail stores. The Sentinel Pine bridge is located high in the White Mountains of New Hampshire spanning the cascading white waters of the Pemigewasset River. The scene unfolds during the peak October foliage season!